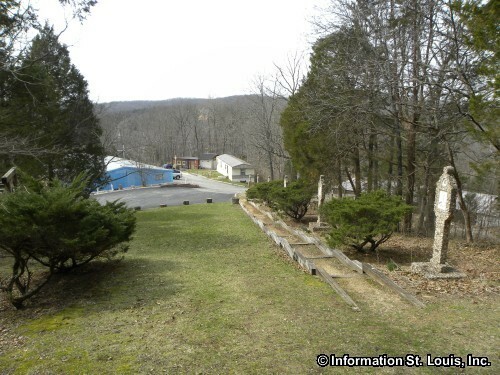 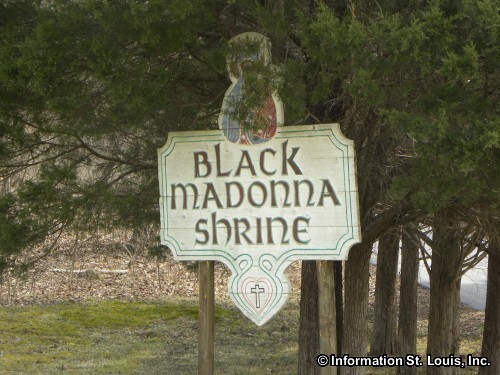 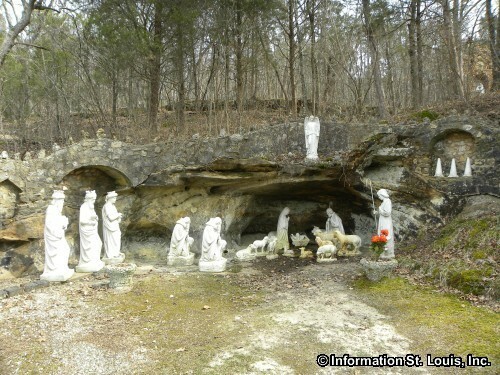 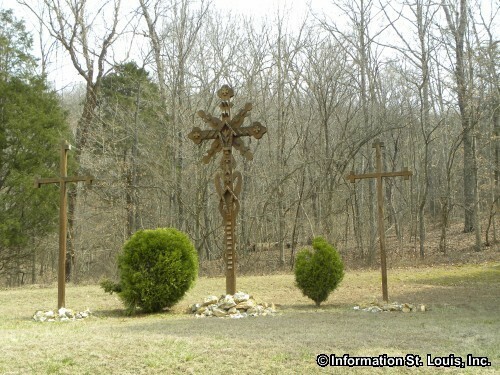 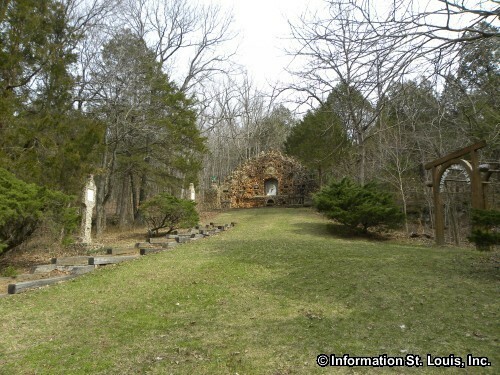 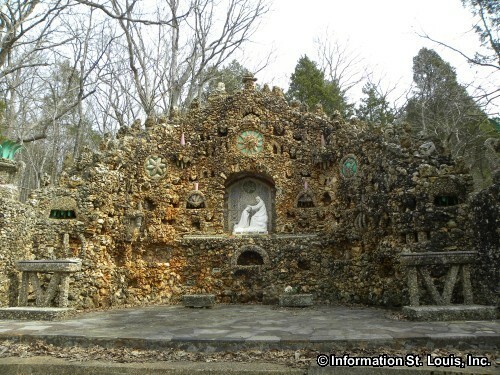 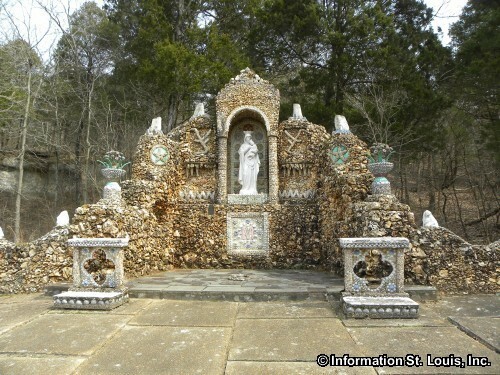 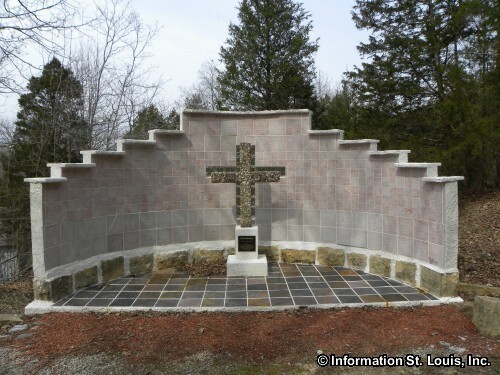 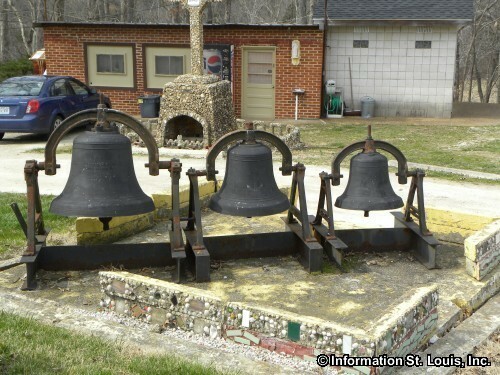 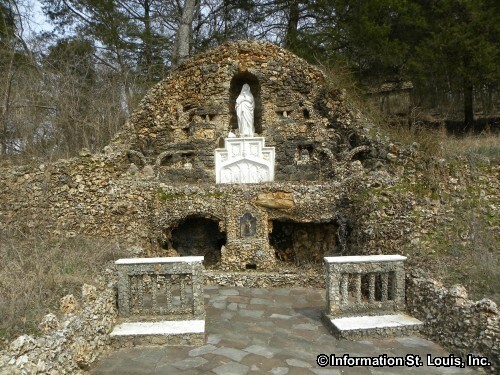 The Shrine of the Black Madonna and Grottos is located in Pacific, just west of Eureka Missouri. It is dedicated to Mary, the Queen of Peace and Mercy. 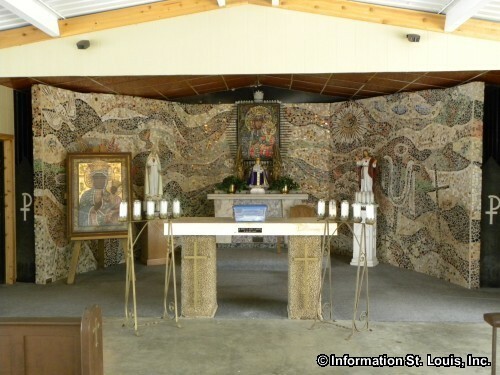 The Shrine was built by Brother Bronislaus Luszcz, a member of the Fanciscan Missionary Brothers who came to the area in 1927. 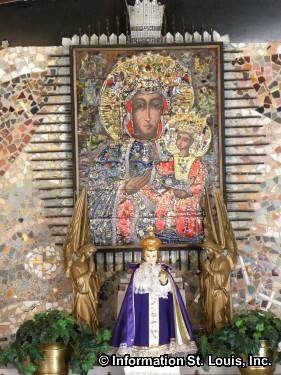 Brother Bronislaus was from Poland where Mary is revered and where her most famous shrine, Jasna Gora Monastery, is located in his home town of Czestochowa, Poland. 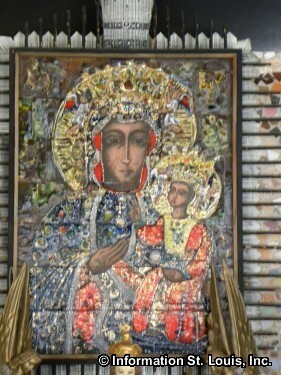 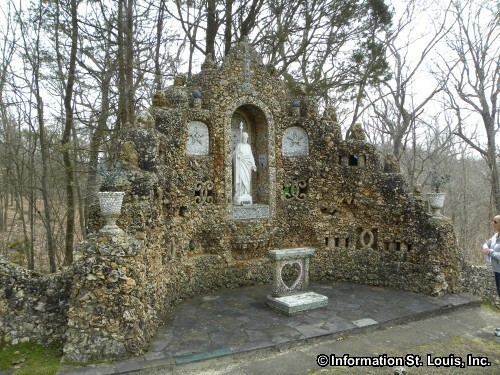 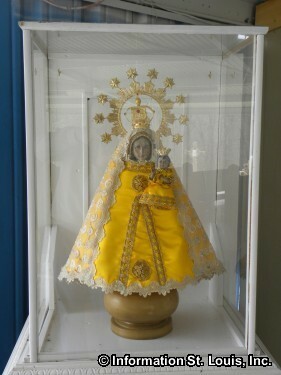 He began to build the Shrine in 1937 so that he could share his love and devotion to Mary with others. 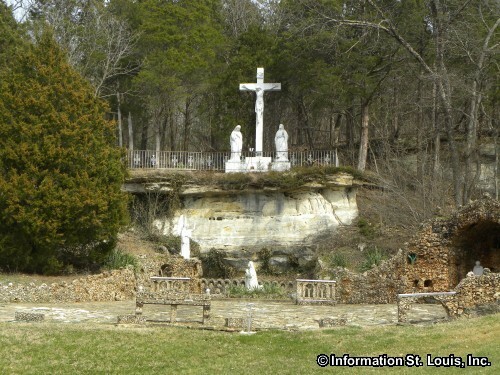 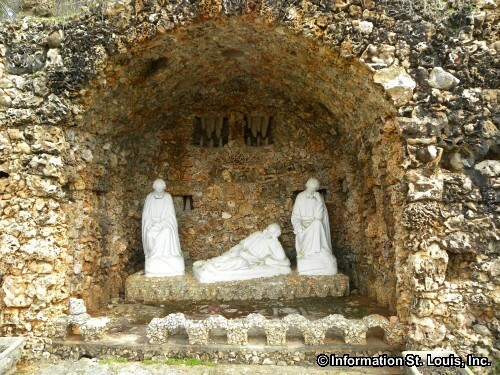 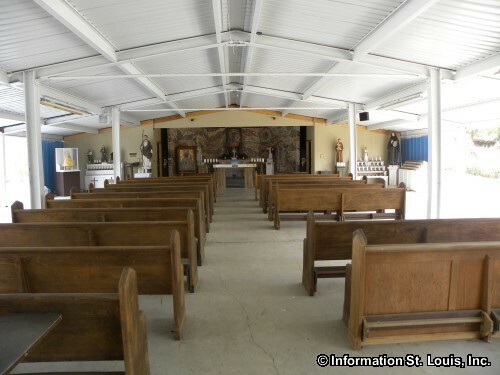 There are 15 Grottos and other sites on the 500 acre Franciscan Mission which can be viewed by taking a walking tour.